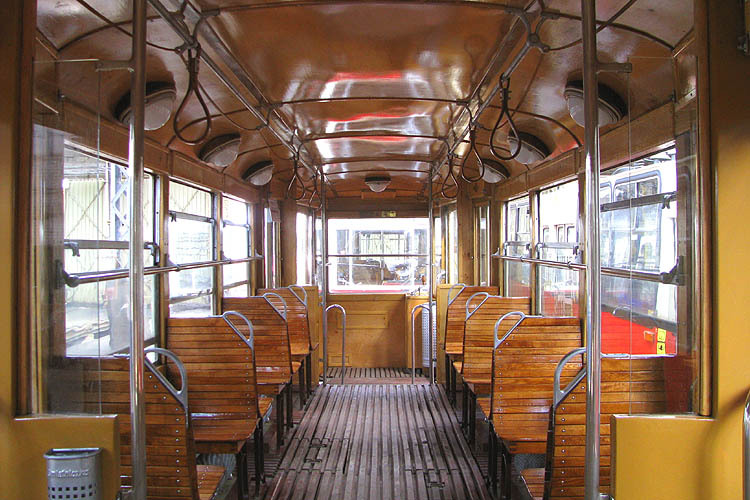 Year 2018 is the eleventh when passengers are welcome aboard the historic tram running as service No. 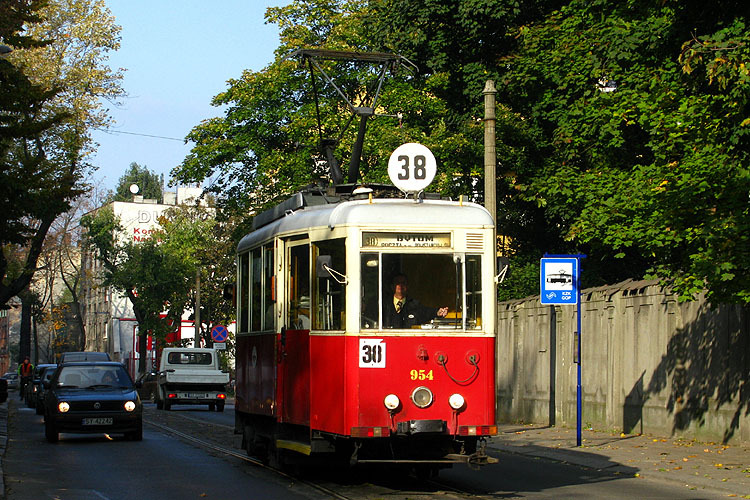 23 beginning next to the Silesian Stadium in Chorzów and ending its journey next to Zawodzie tram depot in Katowice, connecting it with the largest city park in Europe  the Silesian Park in Chorzów. 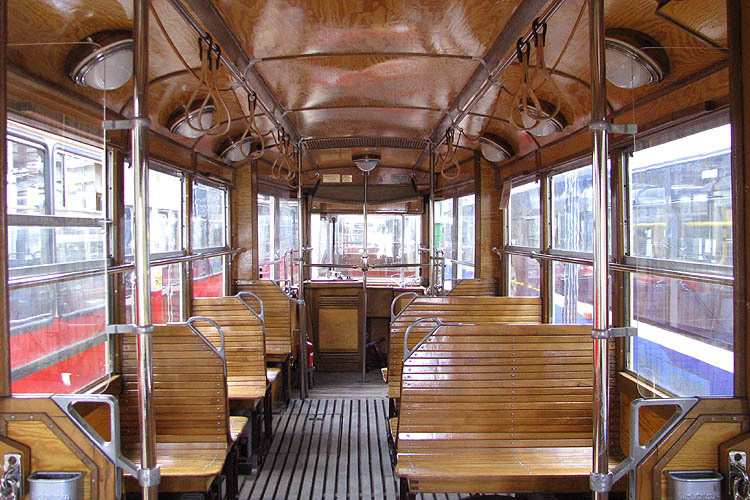 Our tram serves all stops on the route, and vintage cars run service 23 each Sunday between June 7th and September 27th, and on holidays - June 19th and August 15th. 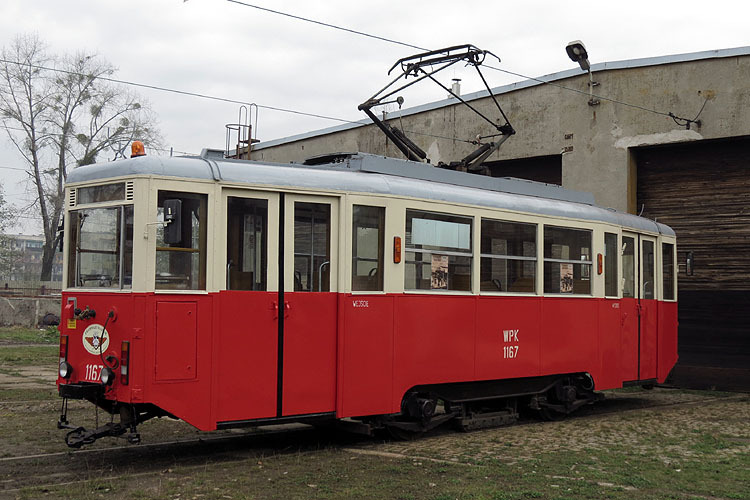 Historic tram runs are served by two sets of cars - the first is one of N-type motor car number 1100 and 4ND1 -type trailer number 1263. 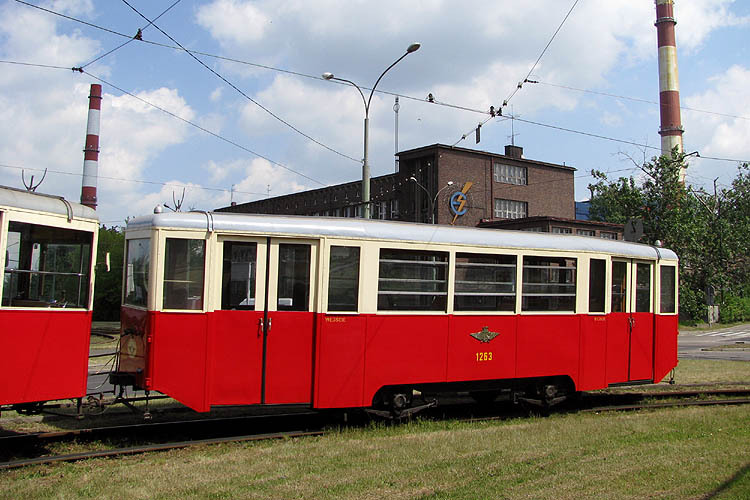 The aforementioned cars have been built by the Chorzów factory in 1953 (motor car) and 1959 (trailer) and restored to their original condition in year 2001 in the Silesian Tramways' workshops in Chorzów Batory and Będzin. 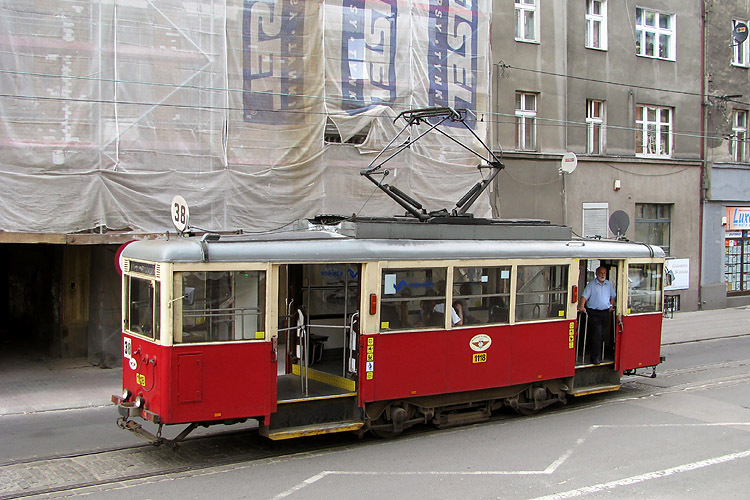 Construction of these types of cars was based on the famous German war-time unified tramcar - Kriegsstraßenbahnwagen (KSW). In fact, N cars were copied from this type. 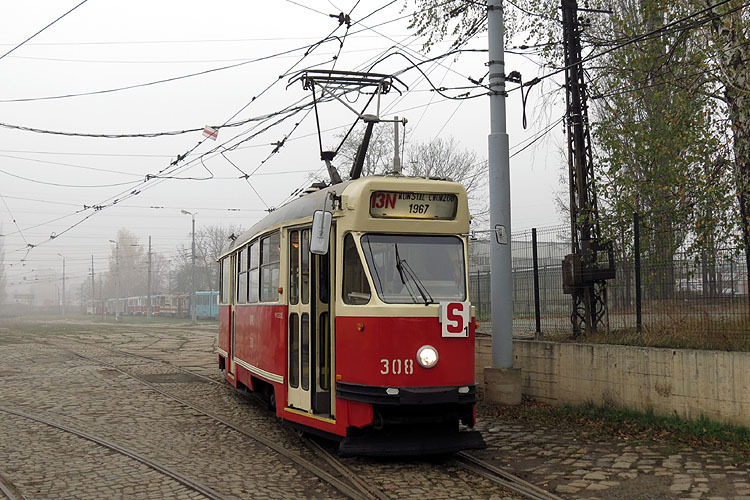 Another one is 13N-type PCC motor car number 308, built by Chorzów factory in 1967, which was brought to the Upper-Silesian tram system from Warsaw in September 2013 as a historic car. 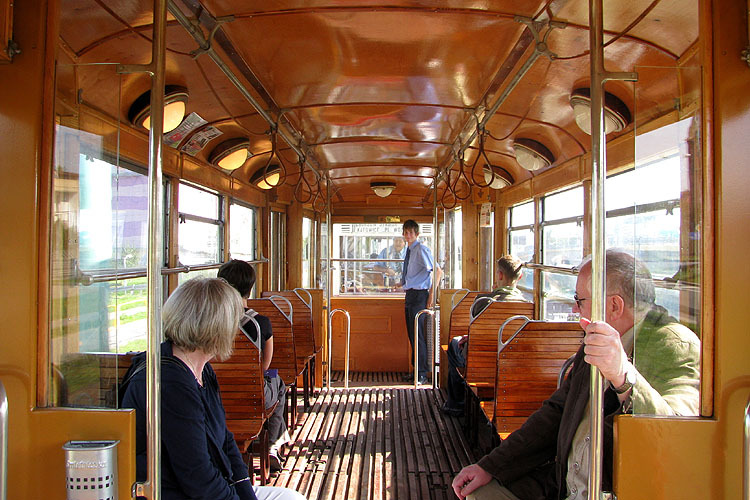 Each N-type run's passengers are being serviced by our conductors. 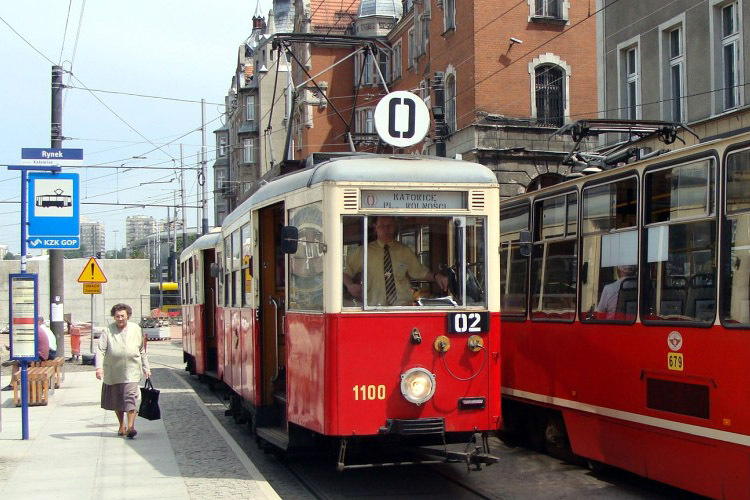 Ticket fares are those binding in public transport organised by Upper-Silesian Municipal Transport Union (KZK GOP). 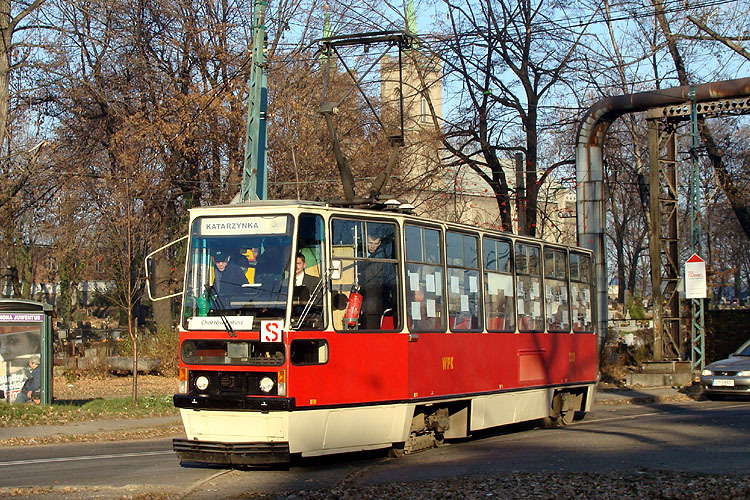 A single-run ticket costs 3.20 PLN (full) / 1.60 PLN (reduced). 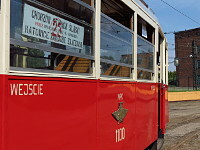 You can also purchase a ticket in the car  the staff sells tickets at 4.80 PLN / 2.40 PLN (1 PLN = 0,23 € = 0,31$ = 0,20GBP). All aboard! 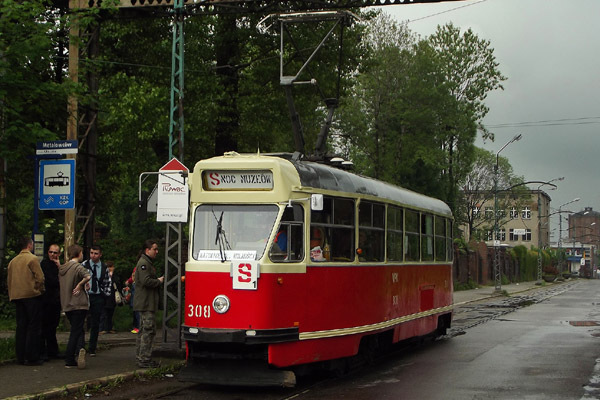 Join us on the Upper Silesian Tourist Line! 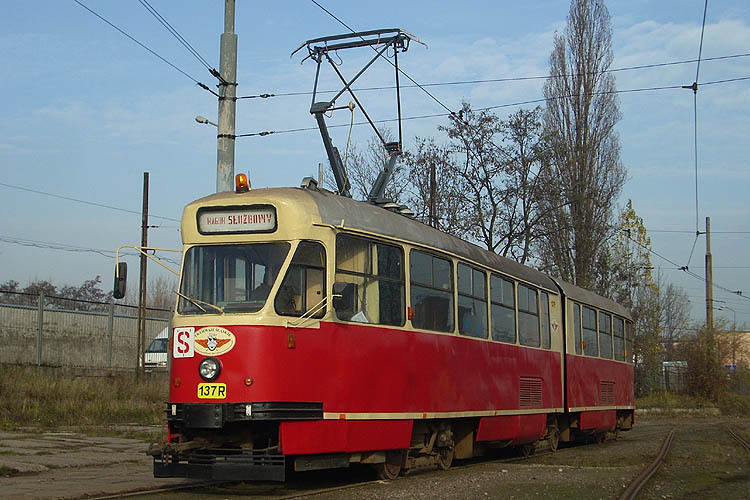 Vintage tram service is an initiative of Upper-Silesian Municipal Transport Union (KZK GOP), Public Transport Enthusiasts' Society (KMTM) and Silesian Tramways (TŚ S.A.).